This essence rivals the best of whiskys, rich and concentrated, the first impression is of the subtleness. Deep yellow gold in colour, with a delicate and slightly smokey aroma and pronounced peat flavour. The finish is smooth and pleasant. 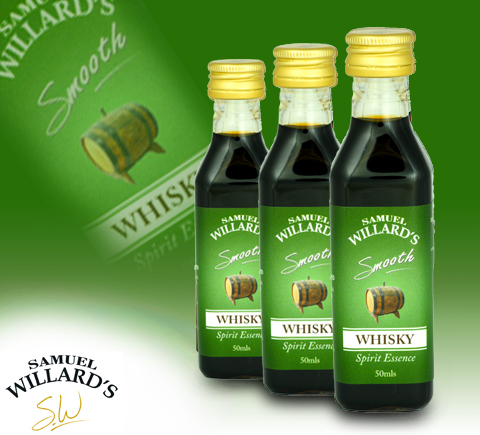 Samuel Willard’s Smooth Whisky Selection Essence yields 2250mL of spirits when mixed.